It’s 2017 and this year will be different. This year, you’ll find The One. She’s out there, and, with the multitude of online dating sites, you know you can find her. You’re a good-looking guy with smarts and heart – you’ve got a cleverly crafted profile that illustrates all you have to offer. But when it comes to your pictures, there’s one thing missing – a wide grin full of perfectly straight teeth. Sure, you’re smiling in some shots, but always with your lips closed. You want to straighten your teeth, but you’re afraid that if The One sees a picture of a guy with a mouthful of metal, she’ll pass you by. What can you do? You can stop by Boston Smile Center and learn about all the different choices you have for adult braces with the best dentist in Boston, Dr. Alan Sasson. You do your best to maintain a healthy smile with your regular at-home hygiene routine that includes brushing twice every day and flossing at least once a day. And Dr. Alan Sasson and Dr. Ray Dempsey and the team at Boston Smile Center in Brookline, MA, do our best too, with the most comprehensive dental checkups. Nevertheless, there usually comes a time when we may need to repair tooth decay with a filling. For strength, durability and appearance, we use metal-free fillings to restore a tooth with a cavity. Although the American Dental Association maintains that the mercury level in metal, or amalgam, fillings is safe, we’re not taking any chances with your health. So for fillings, we use composite resin and dental porcelain. The composite resin material that we use for fillings is matched to the color of your teeth. Amalgam fillings, on the other hand, are always dark and as such can mar the appearance of your teeth when you smile, laugh or talk. With a filling made of tooth-colored resin, you don’t need to worry about the filling showing at all. Secondly, with a metal-free filling, our dentists can preserve more of the natural tooth structure. This is exactly the idea behind conservative dentistry—repair a tooth while preserving as much of the tooth as possible. Amalgam fillings necessitate reducing more of a tooth to accommodate the filling material. With composite resin material, a minimal amount of the tooth is removed. Finally, for strength and protection, tooth-colored fillings made of composite resin can’t be beat. Composite fillings are bonded with adhesive to your tooth, protecting it against decay and also strengthening the tooth. Furthermore, composite fillings shield the tooth from bacteria, too. Once bonded, a composite filling won’t wear down or change shape, so bacteria and food particles cannot penetrate the tooth. If you’d like to learn more about metal-free fillings, call Boston Smile Center in Brookline, MA. We also serve patients from Chelsea, Newton, Somerville, Boston and Cambridge. Traditions run deep in Boston, and Boston Smile Center—your 02446 dentist—wants to be one of your family’s traditions. Conveniently located in Brookline, MA, Boston Smile Center can provide dental care for you and your entire family. Dr. Alan Sasson, an expert in cosmetic, restorative and implant dentistry with more than 25 years of experience, founded Boston Smile Center with the idea of taking care of his patients the same way he would want his family to be cared for—personally and professionally. 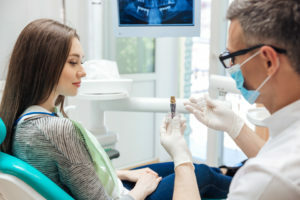 Whether you come to Boston Smile Center for a routine checkup—which includes cleaning and polishing your teeth, an oral cancer screening, examining for early signs of tooth decay and gum disease, and x-rays when necessary—or one of our specialized treatments, you can be sure your teeth are in good hands. Dr. Sasson is a graduate of the Goldman School of Graduate Dentistry at Boston University and earned his certification in Oral Implantology from Brookdale Hospital in New York. He has taught at the Harvard School of Dental Medicine, the Forsythe Institute, and the Medical Research Foundation of Boston. Dr. Sasson is a member of the American Dental Association, the Massachusetts Dental Society and the American Academy of Cosmetic Dentistry among other well-respected professional organizations. In an effort to be the dentist 02446 residents can count on, Dr. Sasson has built a team to provide all of the dental services you need in an environment of care and convenience. His colleague, Dr. Ray Dempsey is our periodontist. 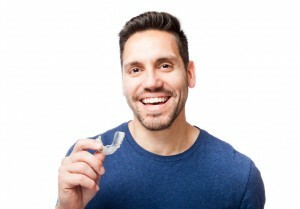 Dr. Dempsey is highly skilled and trained in restoring the health of your gums as well as the surgical aspect of replacing missing teeth with permanent dental implants. The rest of the staff, from our dental hygienists to the front office, are dedicated to making sure your visit to Boston Smile Center is pleasurable. 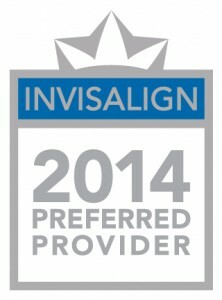 Patient care and exceptional customer service are our top priorities. Therefore, we offer a variety of payment options, including cash, check, MasterCard, Visa and American Express. We will also file your insurance claim to maximize your benefits. If you’d like to finance cosmetic or restorative treatments, then we can arrange a payment plan with CareCredit. If you are ready to receive the best in dental care for you and your family, then call Boston Smile Center today. We conveniently serve patients in Brookline, MA, as well as the surrounding communities of Boston, Cambridge, Chelsea, Newton and Somerville.